It seems like fitness and tech are merging in new and exciting ways, with new gadgets coming out every day that are engineered to improve performance and increase results. If you don't want to wait for the latest, best new fitness tech, then Big Apple Buddy is here for you with international shipping to countries like Australia, the UK, Singapore, Malaysia, Hong Kong, Germany and South Africa. Satisfied customers are praising Big Apple Buddy for our excellent customer service and variety of available merchandise, as well as our prompt international shipping. What Is Smart Fitness Clothing? Are You Serious About Fitness? Athos Smart Fitness Clothing is, and if you want workout clothing that is also high-tech wearable technology, then this sports gear is for you. Athos offers wearable fitness gear with built-in sensors that give you valuable insight into your body's performance so that you can be even better and stronger. As you work out, The Core transmits this bio-data via Bluetooth to your smartphone where it is recorded into the Athos app. The app interprets data and measures your progress, logging each workout along with your heart rate, form, reps and a variety of other data. The Core and the app work together with the apparel to give a wealth of insight into your activity. Wearable technology has become more and more popular as people seek more knowledge about themselves and their physical fitness. Have you ever wondered how you are progressing with your workout? You can't always see results right away, and you don't always know why you are not making the progress you were hoping for. Is it because you are not challenging yourself enough? Is it poor form or breathing technique? Athos Smart Fitness Clothing helps give you answers to these questions and gives you a detailed record so you can see just how much time you are devoting to becoming your best self. It gives you immediate feedback that lets you know if what you are doing is working. The end result is a more effective, efficient workout. It is surprising how many people are wasting time on incorrect motions that not only don't work, but also result in injury. Another issue is plateaus. It is common to hit one and then go on for weeks or months struggling to make progress and not understand why it's not happening. This technology will save you time normally wasted trying to perfect your workout. 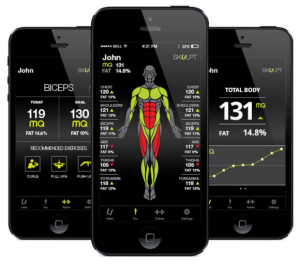 Athos fitness clothing brands work with The Core and The App to provide detailed data. This gym apparel is created with hi-tech, breathable, comfortable fabric that conforms to your body. 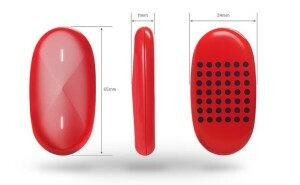 Sensors record your heart rate and breathing and transmit that information to The Core. This is truly advanced technology and is some of the best fitness clothing online. You will find Athos men's and women's fitness apparel comes in both high-performance, form-fitting shirt and leggings for women, and shirt and shorts for men. Despite the high-tech nature of Athos Smart Fitness Clothing, it is amazingly comfortable. Bottom line, wearable technology is becoming the essential gym gear. 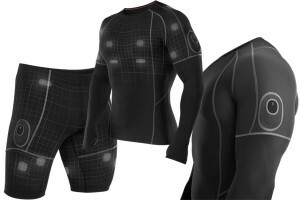 Where Can I Buy Athos Smart Clothing for International Shipping? If you are ready to take your workout to the next level, your next step is to order Athos Smart Fitness Clothing and experience it for yourself. You can purchase the workout clothing and The Core online, but if you live in the United Kingdom, Australia, Singapore, Hong Kong, or many other countries worldwide, getting international shipping may prove troublesome. This is where Big Apple Buddy can help. We take the hassle out of purchasing products that are often only available for shipping in the United States. Whether you are in Germany, Malaysia, Thailand, France, Canada, Norway, South Africa, it doesn’t matter. Big Apple Buddy ships to over 110+ countries around the globe and can help you get the latest technology and gadgets you want, without the long wait. 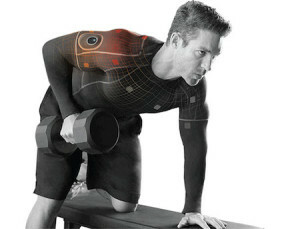 If you would like to buy Athos Smart Fitness Clothing with international shipping, contact us for a free quote!